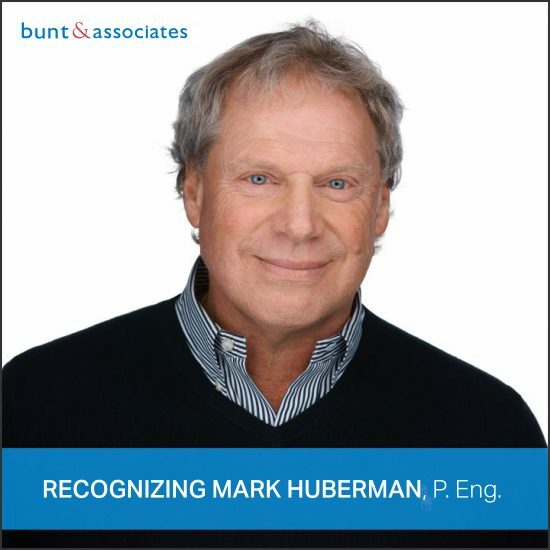 Bunt & Associates Engineering Ltd. (Bunt) is proud to recognize the incredible achievements and contributions of Mark Huberman, P. Eng., a pivotal founding member of the firm. After 17 years with Bunt, Mark has transitioned into the role of Senior Consultant with the organization. He continues to participate in the overall business and will provide guidance on corporate strategic initiatives. In each of our offices, Bunt has welcomed several new Shareholders who are contributing the depth and breadth of skill we bring to clients together with the growth of the firm. Mark’s longstanding dedication to client service and technical excellence remain the guiding principles of Bunt & Associates. We look forward to the ongoing collaboration with our clients.